This collection of essays pays tribute to Radmila (Rajka) Jovanović Gorup’s different areas of expertise and demonstrates the diapason of her scholarly and personal impact on the Slavic and linguistics scholarly communities. The essays cover a range of topics of contemporary scholarship, ranging from sociolinguistics to Danube studies and Serbian postmodern art. 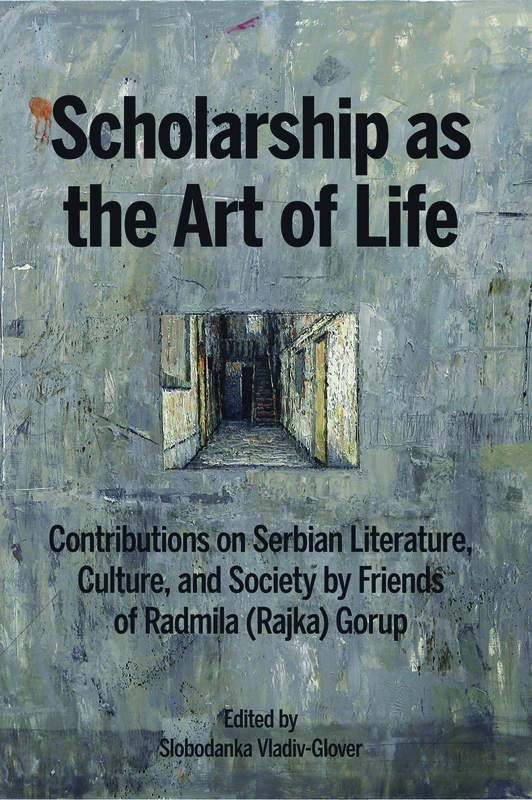 They represent a cross-section of scholarly debates on Serbian literature, culture, theory, sociology, and aesthetics – in fact, a microcosm of Slavic Studies and Comparative Literature, which mirror Rajka’s life-long interest in diversity and transculture. Radmila (Rajka) Jovanović Gorup received her B.A. in English literature from the Department of Philology at the University of Belgrade before she moved to the United States in 1967, where she continued her postgraduate studies, first at St. John’s University, where she graduated with an M.A. in French Literature, and then at Columbia University, where she gained an M.A. and PhD in Linguistics. Rajka had a distinguished career, teaching undergraduates and graduates in Serbo-Croatian (now B/C/S) language, literature, and culture at Columbia from 1980 to her retirement in 2014, with a spell of teaching at the University of California at Berkeley (1986–1993). She has made significant contributions to her fields of specialization – theoretical linguistics, Serbocroatistica, sociolinguistics, and theories of grammar. She was a recipient of the Fulbright Fellowship in 1986, a grant from the American Association of Learned Societies in 1991, and several teaching grants for the improvement of Serbo-Croatian teaching materials. She has been an Executive Board Member of the Columbia School Linguistic Society (1998–2009) and Chair of the University Seminar of the Columbia School of Linguistics (2012–). Rajka was an active promoter of Serbian and (ex-) Yugoslav literature and culture in the Anglophone sphere. She has edited a number of important translations and essays on Serbian literature, among them The Prince of Fire: An Anthology of Contemporary Serbian Short Stories (University of Pittsburgh Press, 1998), The Slave Girl and Other Stories about Women by Ivo Andrič (CEU Press, 2009), for which she received the Misha Đorđević Book Award from the North American Society for Serbian Studies, and After Yugoslavia: The Cultural Spaces of a Vanished Land (Stanford University Press, 2013). Her initiative – The Njegoš Endowment for Serbian Language and Culture at Columbia University – received strong institutional support and is now a major forum on contemporary Serbian culture and public affairs in the US.